Today we have Gabby Douglas and Simone Biles, but not too long ago, gymnastics was almost exclusively white. Black gymnasts continue to make strides, break down barriers, and have fun while they're at it. 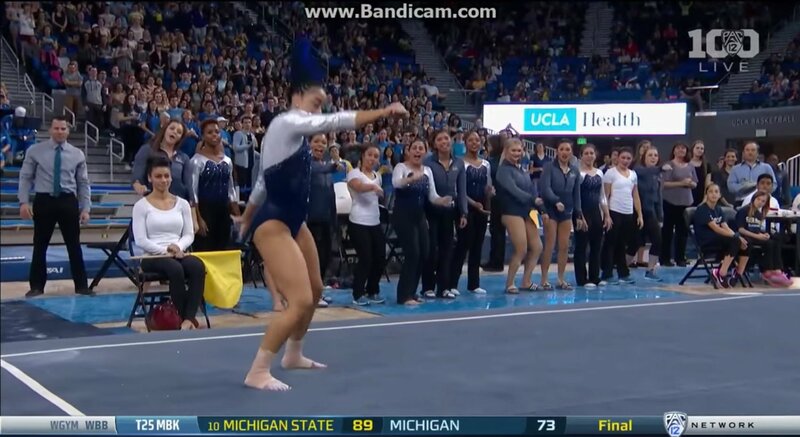 UCLA Gymnast, Sophina DeJesus, brought down the house with her floor routine at a recent meet. As soon as T-Wayne's "Nasty Freestyle" came on, we knew what to expect. Sophina promptly whipped, hit dem folks and completed another tumbling pass. It was Black as hell, and we loved every second. Sophina scored a 9.925 for the routine.